Map source: U.S. CIA - Shaded Relief, 1995 (edited). 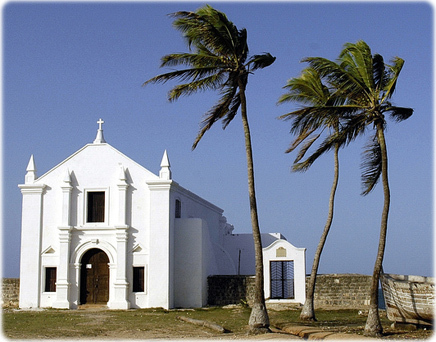 Church of Santo Antônio (16th century), in Nampula, Mozambique Island, built by the Portuguese. 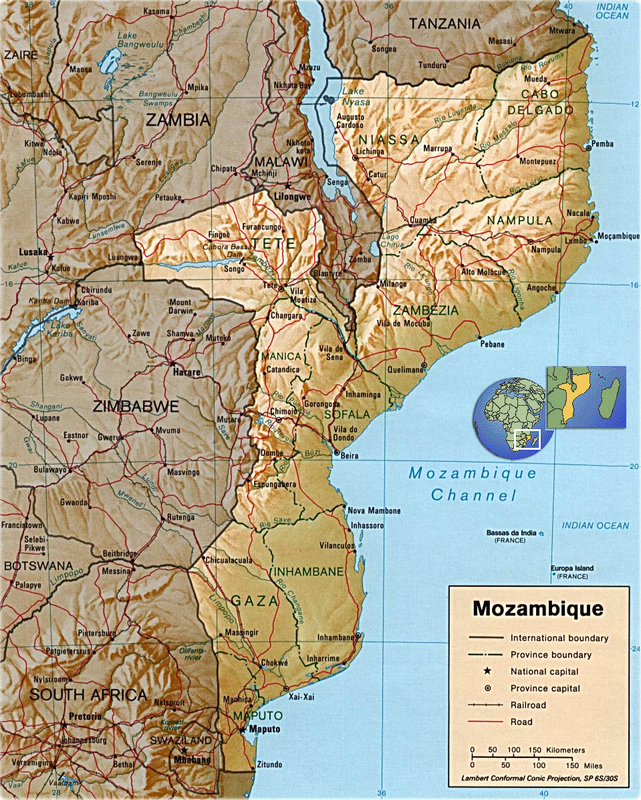 Xai-Xai, capital of the country Maputo, Inhambane and Beira. Border with Zimbabwe.